A vibrant metropolitan city, filled with architectural gems and the masterworks of renowned artists, Milan is a fantastic place to spend your city break. 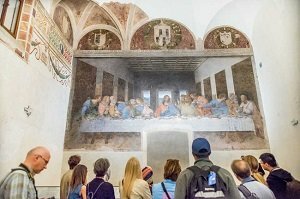 Guided city tours can give you a comprehensive insight into the city and take you to Milan’s most impressive landmarks, hidden gems, and major attractions like Da Vinci’s ‘The Last Supper’. Lovers of the arts will be spoilt for choice in Italy’s ‘Capital of Fashion’, here, art and design have been an integral piece of Milan’s make-up for centuries. Discover the grand Duomo Cathedral, climb to its breath-taking terraces, marvel at the rich interior of La Scala Theatre and observe beautiful frescoes in the church of Santa Maria Delle Grazie. The best part about a visit to Milan is its fantastic location. Situated in Northern Italy between the stunning Tuscan Province and the gorgeous Mediterranean coastline, and just a short distance from the Swiss Alps. 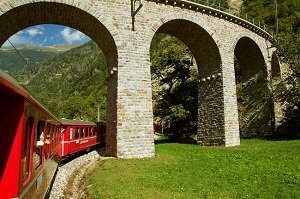 Naturally, there are a number of day trips available from Central Milan, so outdoors lovers can escape the city on full-day excursions to Cinque Terre National Park, Lake Guarda, to the ‘Floating City’ of Venice, and even ride the Bernina express to the heart of St Moritz. 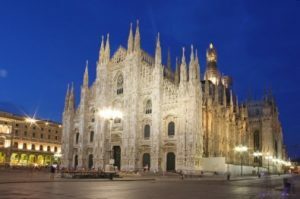 On this page we have made a detailed comparison of Milan’s top-rated city tours, including Hop-On Hop-Off sightseeing tours, walking tours, Segway tours and city excursions. For your convenience, we have included a price comparison from 4 reputable tour companies and the recommendations of real travellers. A comprehensive half-day tour of the historical centre of Milan. A chance to see the most famous painting of the Renaissance era without waiting in long lines. See Milan's impressive Cathedral, tour the historic centre and window shop on Vittorio Emanuele II. 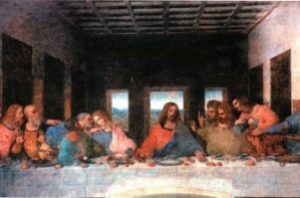 Take a guided small group tour of Da Vinci's ‘The Last Supper'. Travellers have said that this is an excellent way to see the city and learn about Milan's rich heritage. The half-day tour has a perfect 5-star rating on both Viator and TripAdvisor. Comments highly recommend this tour. Right for visitors who are interesting in art and history. Useful for people with a short amount of time in the city. This is a basic skip the line entrance ticket for a self-guided visit of Milan's Duomo. A chance to climb to the terraces, marvel at fine sculptures and city views. Visit Milan's top attraction at your chosen time and at your own pace. Save time by skipping the entrance que. Take in marvellous views from the cathedral's stunning terraces. They agree that this is the best way to avoid lengthy queues and a very convenient ticket to use. This entrance ticket has 4.5-star ratings on trusted travel sites, TripAdvisor and Viator. A good option for budget travellers or people on a tight time frame. The Milan Duomo should be on every visitor ‘to do' list. A 3-hour introduction to the Capital of Fashion. An opportunity to tour Milan's wide Piazza and lesser-known areas with a local guide. A combination of sightseeing, art and history. Take a comprehensive tour of Milan's city centre. Learn about Milan, the new and the old, from an expert local guide. Visit the one and only ‘Last Supper' portrait. Guided tour of The Last Supper. Travellers have called this tour ‘great' and ‘amazing'. The tour is highly recommended by TripAdvisor users and has very high ratings on Viator and Get Your Guide websites. If you interested in renaissance art but would also like to learn about the modern city then this is the tour for you. Suitable for solo travellers, families or small groups. A comprehensive city tour of Milan which will take you to the city's major landmarks and inside famous sights. A chance to learn about one of Italy's most prosperous city's. Explore the city centre with an experienced tour guide. Step inside the grand Duomo. See for yourself the masterpiece of Leonardo Da Vinci. Fast track entrance to The Last Supper. This tour is highly recommended by city travellers. Comments agree that the guides are friendly and knowledgeable, while the tour is interesting. Many reviews have given this tour 5 out of 5-stars. Ideal for people with limited time in the city. This tour will take you to the most important spots in the city in just 3.5-hours. A tour of central Milan with a little artistic flare. This is an opportunity explore the historic and modern art scene in Milan and visit one of the world's most iconic paintings. Spend 2 hours of your day discovering sights on a walking tour of Milan. Listen to histories and stories from an art historian guide. Take a good look at Da Vinci's The Last Supper after skipping the entrance line. Travellers frequently say this this tour has shown them places in Milan that they otherwise would not have seen. The guides are highly praised. The has an average 4.7 to 5-star rating. Right for people with a strong interest in the arts, particularly renaissance art. Suitable for children as well as adults. 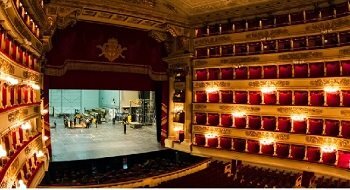 A chance to see inside one of Italy's most renowned opera houses. One whole hour to learn about the theatre and the productions which have taken place here with an expert tour guide. View the exhibitions and artefacts whilst enjoying the commentary of your local guide. See the theatre and stage. They say that it's an excellent tour with fantastic tour guide. Comments also point out that 60 minutes is adequate time to see the museum. Right for people who are interested in historic buildings, classical music and opera. The 60-minute tour is an engaging walk through the many performances which have taken place at this theatre. An alternative to the standard sightseeing tour. 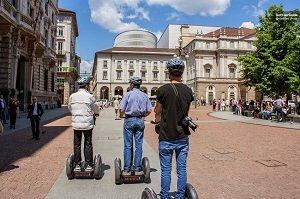 The Segway tour is a modern, fun and fast-paced way to discover the city of Milan. Speed through Milan's busy city centre on a futuristic mode of transport. Stop to see some of the city's sites and landmarks. Enjoy the commentary of your personal English-speaking guide. Travellers love this city tour. Not only does it have a 4.8-star rating but it also has a full 5 out of 5 on TripAdvisor and Viator. Friends say that this was a very fun way to spend their time in Milan. Right for visitors who want an interesting and unique city tour. Good for first-time visitors in Milan, the tour will cover a lot of the city centre. Access to Europe's most famous city sightseeing bus for a full 24 or 48-hours. A city tour which lets you choose the itinerary. Discover the Capital of Fashion from the open top-deck of an iconic sightseeing bus. Hop-off at your preferred stop and hop-on to any of the 3 bus lines. Listen to the onboard guide to the city. Travellers say that the Hop-On Hop-Off city tour provides a fantastic overview of the city. Customer's like that they have the option to ride the whole loop on each line or to jump of at any destination. The tour has mostly 4 to 5-star reviews and very few negative comments. Right for people who want to see a lot of the city without a fixed itinerary. Very handy for families, groups or independent travellers. A chance to leave behind the busy city centre and travel into the heart of the Swiss-Italian Alps. An opportunity to make the journey on the iconic ‘little red train'. Leave the city centre of Milan, cross the Swiss border and ride the Bernina Express up to St Moritz Ski resort. Enjoy scenic views and breath-taking panoramas. Enjoy free time at St Moritz. While this is a very long day trip, most travellers agree that the journey is well worth the time. Comments say that the mountain views are beautiful and a ‘must see'. The tour has a 4.5-star rating on TripAdvisor. This is full-day tour which cover a lot of the Swiss-Italian Alps. Right for mountain lovers who only have a short time in Milan. A jam-packed city tour which visits all of Milan's highlights in just 6-hours. 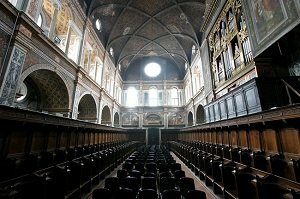 A chance to entre Milan's Duomo, see The Last Supper, and tour the city with an expert guide. Discover the sights of Milan and learn about their history and significance. Skip the line to Da Vinci's The Last Supper and explore the grounds of Sforza Castle. Benefit from the expertise of your local city guide. Travellers say that the guides are very knowledgeable. They agree that this is a great way to see the key sights of Milan. The tour is highly recommended on Get Your Guide, Viator and TripAdvisor. 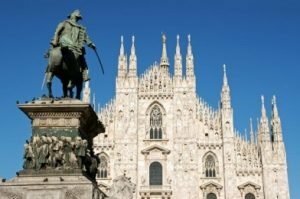 If you're on a city break or this is your first visit to Milan then this will be a great tour for you. The Milan in 1-day tour covers all the city's highlights so you'll know where to go after. A chance to escape from the hustle and bustle of the city and visit one of Italy's most stunning natural lakes. A full-day, fully-organised excursion from central Milan. Drive to the picturesque Lake Como in a comfortable air-conditioned bus. Cruise in the scenic lake. Take advantage of free time to explore quiet lakeside villages and historic towns. 1-Hour cruise and funicular (winter). Travellers say that the coach is very comfortable and the journey to the lake is pleasant. Comments agree that the lake cruise is amazing and not to be missed. The tour has very high 4 to 5-star ratings. 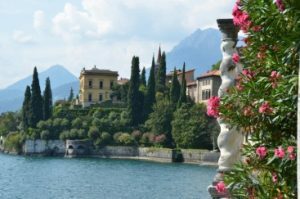 If you want to travel stress-free to one of the most beautiful lakes in Northern Italy then this trip is for you. Great for outdoor lovers, photographers and explorers. A full-day excursion into the most famous national park of Northern Italy. A chance to immerse yourself in stunning natural beauty, swim in the sea and visit traditional villages. 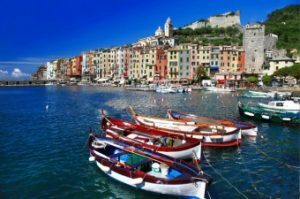 Travel by coach, train, and boat to villages in the Cinque Terre National Park. Have free time to swim and explore each village. Travel stress-free with a local guide. Travellers have given the day trip a 4.5-star rating on TripAdvisor. Comments generally agree that the tour is very convenient and good value for money. Reviews say that the national park itself is breath-taking. Suitable for visitors who are prepared for a moderate amount of walking. Ideal for adventurous travellers, photographers and nature lovers. A full-day excursion from Milan to Venice. A chance to see the floating city with an expert guide. A convenient stress-free way to travel between cities. Travel from the city centre of Milan to the centre of Venice. Cruise on the city's pea green canals. Admire fine architecture and grand facades. Enjoy free time to explore the city independently. 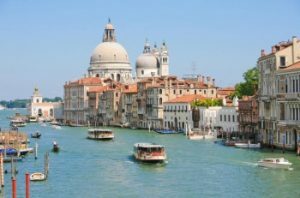 Although this full-day tour will not give you time to visit every museum and attraction in Venice, travellers agree that it is an excellent overview and introduction to the city. The tour is highly recommended on Viator, Get Your Guide and TripAdvisor. If you're short on holiday time and want to visit Italy's famous Floating City then this is a convenient option for you. Good for people who enjoy travelling by coach. A chance to save time and skip the line to Milan's Duomo. A comprehensive up not time-consuming tour of the Cathedral. 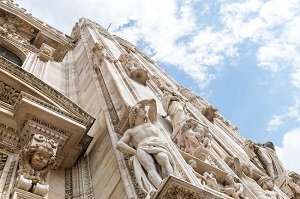 Take a guided tour of Milan's Cathedral. Climb to the Cathedral's terraces and marvel at wonderful marble states. Soak in panoramic city views and learn from your expert guide. Travellers say that the skip the line ticket is ‘quick and easy' to use. Comments agree that this ticket will save you lots of time and unnecessary queuing. 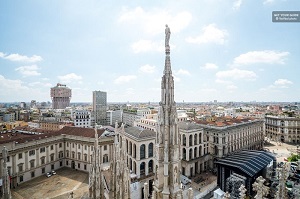 Milan's Duomo and its beautiful Terraces are listed as one of the top sights to see in Milan on TripAdvisor. Right for people interested in history, religion and art. A good option is you're looking for a compact and time-saving tour. The skip the line entrance can save you a lot of time. This is a full day shopping extravaganza from central Milan to Serravalle Designer Outlet Centre. A fantastic opportunity to combine sightseeing in Tuscany with discovering Milan’s fashion scene. 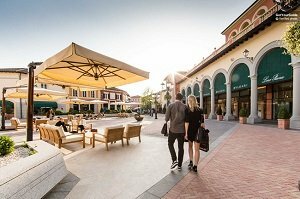 Serravalle is Italy’s largest and newest designer shopping outlet in Europe with an array of well-known brands at fantastic prices. 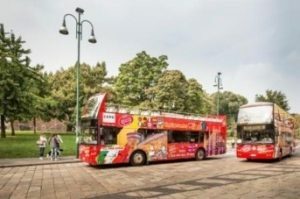 Take a comfortable air-conditioned bus from Central Milan to Serravalle shopping centre. Enjoy free time to shop inside the centre. Take advantage of your VIP shopping pass. Transport to/from Serravalle Outlet Shopping centre. They have confirmed that Serravalle shopping centre is a fantastic place to plan your shopping spree. Comments agree that the bus service is very good value for money and that the service runs quickly and effectively. People who have visited the Serravelle shopping centre have left very positive reviews on Trip Advisor and other platforms. If you love shopping for designer items and you love to catch a bargain then this is the perfect city excursion for you. Suitable for groups, friends or solo travellers. Best for adults or adolescents. The Casa Milan is a new interactive museum dedicated to the history of AC Milan. The building has been their base for over 100 years and it now hosts fantastic collection of team artefacts and memorabilia. Gawp at the golden cups displayed inside the Trophy Room. Pick out memorable faces inside the Hall of Fame. Meet the players and learn about the team in the Holographic Gallery. Browse the onsite giftshop for holiday souvenirs. Entrance ticket to the Casa Milan. Travellers have highly recommended visiting the Casa Milan. The attraction has mostly 4 and 5-star reviews on Trip Advisor and Get Your Guide. Comments generally agree that the museum is very interesting particular if you’re an AC Milan fan. If you’re a football fan, or you know one, then you really can’t miss a visit to Casa Milan. This is the official headquarters of AC Milan and a must-see attraction. Suitable for all ages, including children who will love the museum’s holographic theatre and gift shop. Great for people who want to learn about the history of the team and its players. A fantastic opportunity to step inside two Milanese football attractions on a half-day tour. 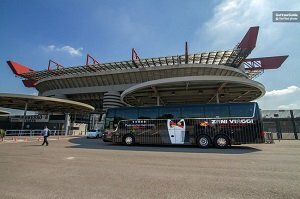 A convenient combo ticket to Casa Milan and San Siro Stadium with access to Milan Hop- Hop-Off sightseeing bus. Ride the hop-on hop-off city bus around the city centre. 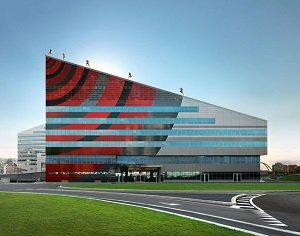 Learn about AC Milan and their former and current players at the Casa Milan. Tour the grounds of San Siro Stadium and visit the official AC Milan merchandise store. Entrance to the Casa Milan and San Siro Stadium and museum. Use of hop on hop off city bus (Green Line). Lunch at Casa Milan (is selected). Travellers have said that this is a fun and interesting tour. Participants agree that the trip is worthwhile for people interesting in football. Ideal for football fans who also want to spend some time sightseeing in Milan. A good option for travellers who prefer travel independently, with the hop on hop off bus service you will have the freedom to explore at your own pace. This is a casual evening experience that will introduce you to Milanese night life as well as the highlights of Italian food and wine. A chance enjoy food and drink like a local. Meet with your small group of dinner companions at a local bar in central Milan. Taste delicious foods from the Lombardy region of northern Italy. Tastings of cold cuts and local cheeses for the Lombardy Region. Tastings of 3 locally produced wines. 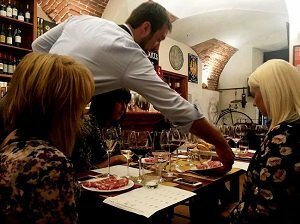 Travellers who have take part in the evening food and wine tasting session have thoroughly recommended the experience. Comments agree that the foods are very tasty and that the wine is also very good. Reviews frequently compliment the sommelier. An enjoyable evening for sociable travellers, couples or small groups. Ideal for foodies or people who would like an introduction to Italian cuisine. This tour is aimed at adults of all generations. The ticket allows visitors to the Milan Duomo to visit all areas of the cathedral. With this ticket, travelers may access the terraces of the Duomo via stairs or elevator to enjoy panoramic views of the city and its surroundings. The striking cathedral houses various interesting exhibits in its museum and the archaeological area. Tour the famous cathedral of Milan and marvel at its intricate design. Climb to the rooftop terraces to observe the city and the Alpes in the distance. Examine religious objects and works of art in the Duomo Museum and archaeological remains at the S. Giovanni alle Fonti Baptistery. Entrance to the Duomo and its rooftop terrace. Optional admission (depending on the selected tour) to the cathedral's museum, archaeological area and the St. Gottardo in Corte Church. "The views over Milano are unbeatable!" Visiting the Duomo terraces is among the top tourist activities in Milan. Touring the Duomo Museum is an unavoidable activity for art aficionados. The activity is suitable for people of all ages and fitness levels. A few-hour tour of Milan revealing the city's top tourist attractions and landmarks. The tour guide conveys interesting historical facts about the top attractions of Milan. Among other attractions, travelers visit the famous Duomo, Sforza Castle and the Last Supper painting. Visit top attractions of the capital of Lombardy, such as the Gothic Duomo and the Sforza Castle surrounded by a lush park. Learn interesting historical facts about the places you visit. 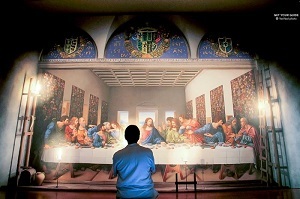 Witness the uniqueness of the Last Supper painting through visual experience and narration of the guide. A priority entry for seeing the Last Supper. Professional, licensed and friendly tour guide. Headsets for hearing the guide clearly in a large group. "Great way to see the highlights of Milan"
"Very nice walk,worth the money 100%." 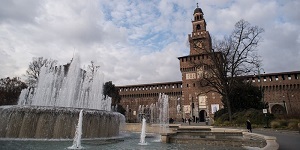 The tour caters to first-time and repeated visitors to Milan. It is recommended for devotees of art and culture and history buffs. The guided tour is suitable for travelers of all ages. A museum exhibiting models of various inventions introduced by Leonardo Da Vinci. Besides exhibits, Leonardo3 boasts interactive contents and a workshop where visitors can assemble small-scale structures. One of the highlights is a digital reconstruction of the Last Supper with various details absent from the original painting today. See various reconstructed inventions of Leonardo Da Vinci based on his manuscripts and plans. Immerse yourself in the world of science through models and interactive displays. Admire the digital reconstruction of the Last Supper painting, revealing the details missing from the wall painting. "An extremely well presented exhibition"
Leonardo3 Museum is a must-visit attraction for people interested in science and innovation in particular. Admirers of Leonardo Da Vinci should visit the museum summarizing his work. The museum is suitable for people older than 10. Brera is one of the leading European art galleries, exhibiting paintings and sculptures originated throughout the last millennium. The art gallery disposes of works of art of Italian and Flemish origins. Tintoretto, Tizian, Caravaggio, Rubens and Rembrandt are some celebrated artists whose paintings are on display at the Brera. Avoid waiting in lines to enter the art venue by means of the skip-the-line entry. Examine works of art by some of the leading artists in history, including Rubens, Rembrandt, Raphael and Tizian. Walk through and examine the former convent of the Humiliati order. The priority entry ticket allowing its holders to skip the lines. Access to the temporary exhibitions. 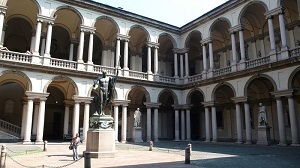 "A much missed gem for any Renaissance art lover"
Brera Art Gallery is an unmissable attraction for fans of art. Visiting this attraction is especially recommended for devotees of Italian and Flemish art. A chance for fans of races to drive a monster car along the picturesque road. The route connects the capital of Lombardy to the Swiss Alps. The 16-kilometer road starting in Milan is the fastest highway in Italy. 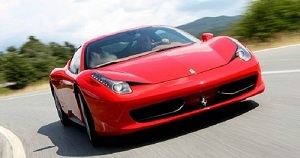 Drive a Ferrari race car along the fastest road in entire Italy. Steer the wheel along the route consisting of 10 kilometers of open road and 6 kilometers of tunnel. Have a great time while putting the instructor's tips into use. "It was a fantastic experience"
"Best thing to do in Milano"
If you can't imagine great entertainment without adrenaline, this is the activity for you. The tour is tailor-made for passionate drivers and those daydreaming to drive a race car. The activity is suitable even for rookies since the instructors help with useful advice. 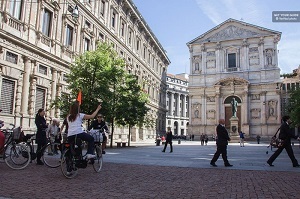 An entertaining tour of Milan by bike. The itinerary covers famous and lesser-known attractions and areas of the city. The guided tour reveals the touristic Milan and introduces the way of life of the locals. Paddle your way through Milan in search for its top and off-the-beaten-path attractions. Find out how the locals live in the fashion capital of the world. See the Milan Duomo, Sforza Castle and the Scala Theater among other noteworthy attractions of the Lombardian capital. "Likely the best way to see Milan!" "Fun way to see the city." "You get to see different sides of Milan"
This introductory tour of Milan is ideal for first-time visitors to the Lombardian capital. Everyone wishing to learn as much as possible about the city should join this personalized tour. 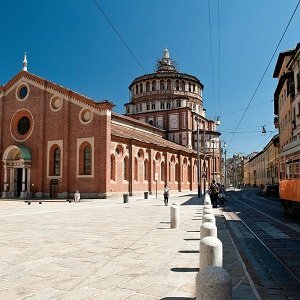 If monumental architecture, art, culture, history and the local way of life of Milan interest you, don't miss this bike tour. A day trip to Verona, the town of Romeo and Juliet, and Lake Garda, the largest lake of Italy. After a guided tour, travelers have some time to explore Verona at their leisure. The second part of the tour takes place at a lakeside village of Sirmione, where visitors can take an optional boat tour. Explore the city of Verona on a guided tour and on your own afterward. 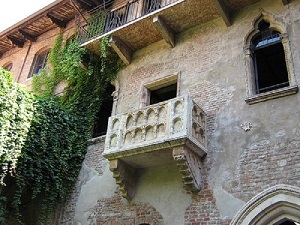 Visit the balcony of the Capulet's residence from Shakespeare's "Romeo and Juliet," and see the Roman amphitheater. Explore the fortified village of Sirmione by Lake Garda. Round trip by a comfortable, air-conditioned vehicle. "Was fun and very informative." "we saw a lot of things"
"Verona its very nice town"
This activity is highly recommended for fans of Shakespeare's Romeo and Juliet drama. Admirers of ancient and medieval structures should join this guided tour. This is an ideal tour for travelers who like to spend time in beautiful nature. A day trip to Lake Maggiore, the second largest lake in Italy. Travelers explore the beautiful town of Stresa and admire its charming villas and outstanding gardens. 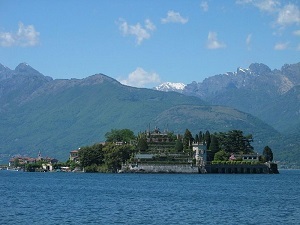 The boat tour introduces Isola Bella (Beautiful Island) and other Borromean Islands. Visit one of the most beautiful lakes in Italy. Explore the chick town of Stresa and admire its exceptional gardens, villas and views of Maggiore Lake. Enjoy a boat tour to Isola Bella and admire the magnificent scenery of mountains surrounding the lake. "A well planned day in a gorgeous area"
"OMG You have to do this." The day trip is suitable for people of all ages since the distance the bus covers is short. People admiring magnificent nature and beautiful structures shouldn't miss this activity. Professional and amateur photographers are highly recommended to book this day trip.